8.2 out of 10 based on 174 verified user reviews via Agoda. Marisa Resort & Spa Chiang Dao is conveniently located in the popular Mueang Ngai area. The property features a wide range of facilities to make your stay a pleasant experience. Free Wi-Fi in all rooms, 24-hour security, daily housekeeping, taxi service, facilities for disabled guests are just some of the facilities on offer. Some of the well-appointed guestrooms feature internet access - wireless (complimentary), non smoking rooms, air conditioning, desk, mini bar. Access to the hotel's outdoor pool, spa, massage, pool (kids), garden will further enhance your satisfying stay. Convenience and comfort makes Marisa Resort & Spa Chiang Dao the perfect choice for your stay in Chiang Dao. 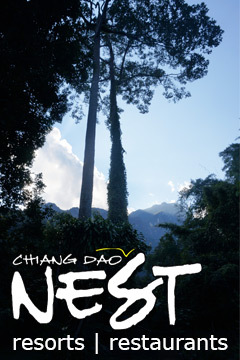 Marisa Resort & Spa Chiang Dao - Chiang Dao classifies itself as a 3 star hotel. N.B. Please note that the star ratings are interpreted generously by the hotels in many countries. N.B. Please note that these are considered correct at the time of publishing, but may no longer be available. If any of the facilities are absolutely essential for you please check when booking. Please do not assume that all are included in the room rate.